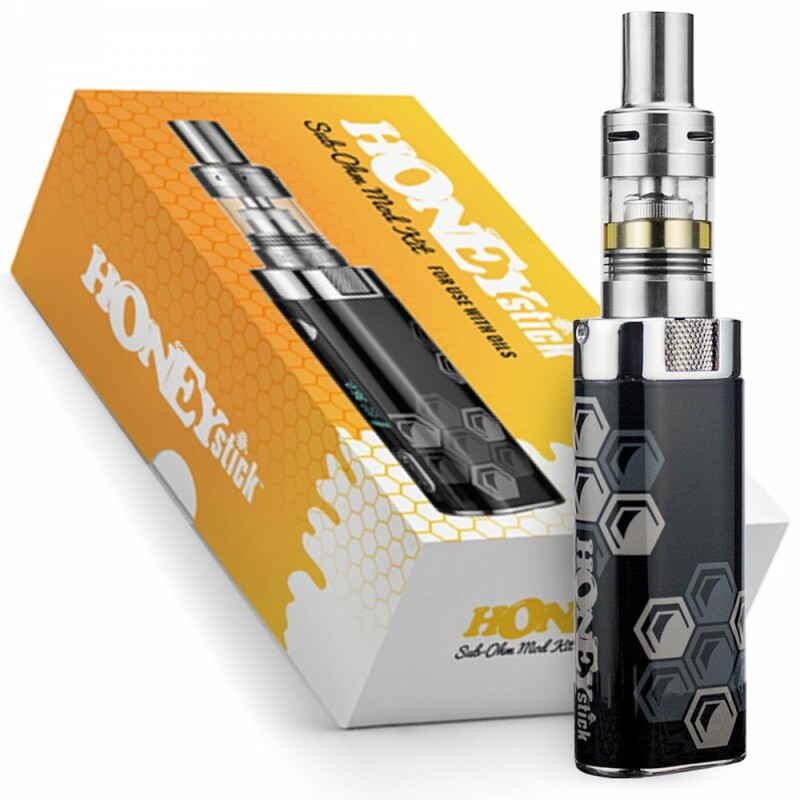 Honey Stick Starter Kit: With craftsmanship accentuated by a refined attention to detail, the Honey Stick™ Oil Device is designed to look as spectacular as it functions – durable and built to last using the highest grade parts. The First Ceramic Sub-Ohm Oil Device. Top Filling, No Leakage Tank (2ml Capacity). Self Cleaning, Sub-Ohm Ceramic Wick With Integrated Coil. Easy top loading tank with a mesh safety screen and porous ceramic wick for clean and flavorful vapor. Fine-Tune Smart Mod Settings to user’s desired preferences.